Are you haunted by the contents of your shed, garage or loft? Is it full of things that ‘might come in useful one day’? Does your back ache when you even think about emptying it? We are lucky enough to have a garage, but like most garages, it has turned into a dumping ground for everything we couldn’t quite bring ourselves to throw away. Now we are planning to sell the garage, so we’ve cleared it. 1) Don’t set your goal as ‘clearing the garage’. Set micro-goals. As a novelist, I know that the thought of writing a whole book, then getting it published, is a massive mountain to climb. So I have always set micro-goals – the first 3,000 words, the first three chapters, half-way through, etc. I am famously untidy, so clearing and tidying does not come naturally to me. However I got the garage from stacked to the ceiling to completely empty in just three weeks, with relatively little time and effort. There’s always a reason to put off spending a whole morning clearing the garage, shed or loft. There are fewer reasons to put off spending 15 minutes on it. I set myself 15 minute sessions on a regular basis – one week it was 15 minutes after lunch every day. One 15 minute session, for example, filled the car boot with stuff that clearly needed to go to the tip. It doesn’t make any difference whether you fill a car boot three times in morning, or three times in one week. You still have to fill it and take it to the tip. This technique is very time-efficient because you spend the whole time clearing. If you put aside a morning, you will have breaks for coffee, phone-calls, gazing at your possessions with misty-eyed nostalgia…Seven or eight 15 minute sessions will therefore have a far greater impact on the garage than, say, a single two-hour session on a Saturday morning. I was brought up with ‘eat your vegetables first, then save the best for last.’ But doing easy or fun things first encourages you to start a depressing job. If there’s anything in the garage, shed, loft or attic that you really like and know you want to keep, bring it out and review it. Mr Middlesize inherited a very pretty table from a cousin. We assumed we had no space for it. But a friend and I dragged it out of the garage and had great fun pushing furniture around. We found the perfect spot for it – it’s perfect for small workshops or one-to-one coaching sessions. I’m completely thrilled with it and so glad that we were forced to re-consider using it. There was a nice set of shelves in my ‘office’ when we lived in London. They don’t fit into this house (Mr M has taken against them, for some reason). So I’ve now put them in the potting shed, where they are very useful. I hadn’t thought of this, as they were ‘indoor’ furniture. But there’s no reason why they can’t work in the shed (except for the leak in the roof). 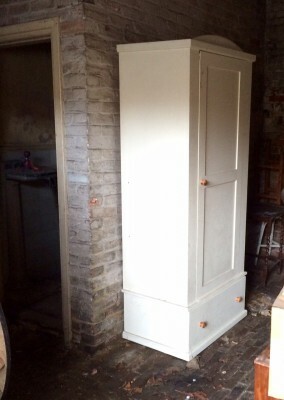 Similarly there was a wardrobe with adjustable shelving that has been brought into the kitchen as a larder. It’s only temporary as it’s not quite right, but it’s a huge help for the time being. 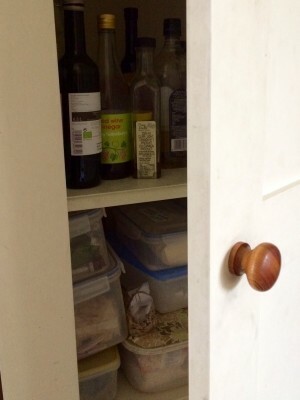 It doesn’t matter whether this cupboard is for sweaters or olive oil. You may be able to sell some things. I put the wardrobe on eBay (if you don’t currently sell on eBay, you can always ask a friend to put it on for you). It didn’t sell, but I think that’s because it was December and people don’t usually buy furniture in the run-up to Christmas. You need a good photo (not easy when a cupboard is stuck in a garage) and a low (but realistic) starting price. Check other ‘wardrobes’ and ‘cupboards’ including the recently-sold ones to get an idea of price. We put this up for sale on eBay, but it didn’t sell and we moved it into the kitchen. One of our neighbours is involved with various charities and knows a wide range of people. He’s also hoping to set up an art studio, so he took some spare chests of drawers for storage, plus other things. He and his friends were hugely helpful in carrying the cupboard into the kitchen. And they took everything they needed straight from the garage. I was rather worried about their backs, but I didn’t endanger mine. 7) Don’t get disheartened halfway through. After about two weeks of this strategy, the garage looked a bit emptier, but was still piled high with stuff. I felt quite despairing. However, remind yourself that if you do 15 minutes clearing a day or remove one or two large items every few days, then one day the garage will be cleared. It will. I promise. All the children’s discarded and broken bikes were in the garage. There were about 6 of them, accumulated over 25 years of bringing up a family. They had no market value. My neighbour had a friend who is involved with a local bike charity. He took the bikes to either re-vamp or use for spare parts. A few more square feet of the garage were re-claimed. 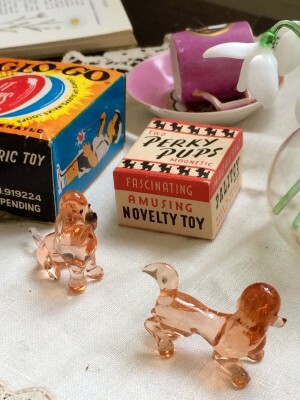 And some of the smaller stuff went to local charity shops, too. 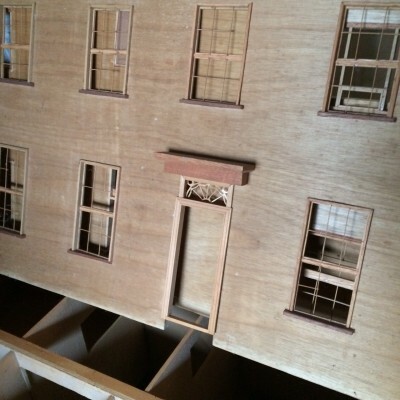 Mr M and I were most concerned about a large, half-finished dolls house that had come with our house when we bought it. It was an exact copy of ours and was beautifully made.We felt some duty to pass it on to future owners. But it was too big to store without a garage, and our children are in their twenties, so there is nobody who would play with it. Too good to throw away, too unfinished to sell – the answer is to give it away. We certainly didn’t want to throw it away, but checking eBay, we didn’t think we could sell it easily either, as it still needed painting. So I put it on Facebook, offering it free to someone who would come and collect it. I got lots of answers, and within a few days, it had been collected by someone who was really looking forward to finishing and painting it for their daughter. It’s a real pleasure – even a privilege – to give something away to someone who really wants it. Freecycle is probably the best-known of the giveaway sites, so I joined, and put up various chests of drawers, pallets etc. Quite a few people responded. I opened the garage doors, and stood to one side as people took stuff away. Then I locked them again. Easy. 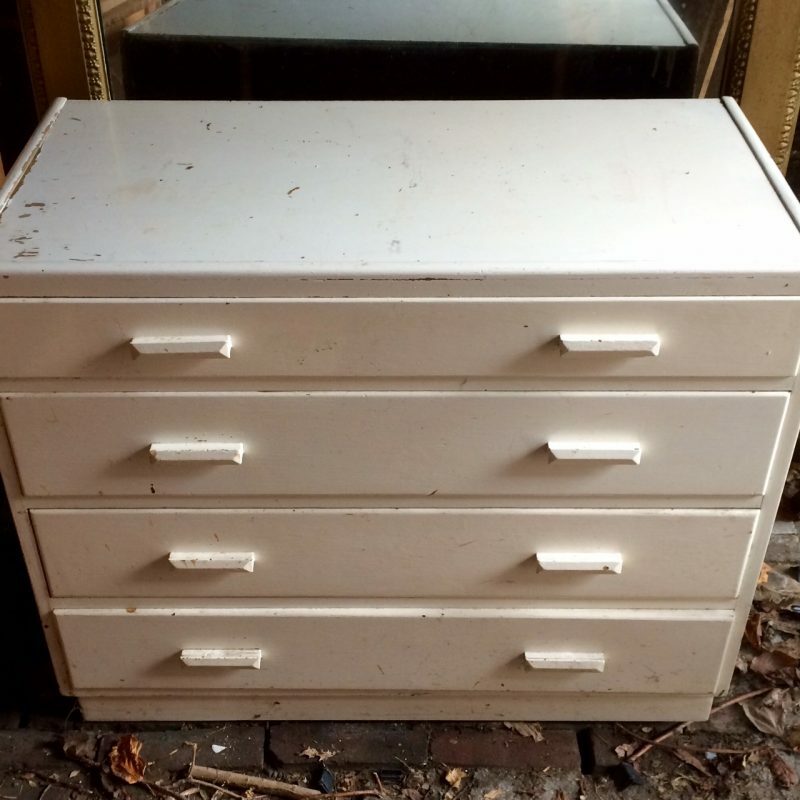 I put this chest onto Freecycle. You may be wondering how someone with a dodgy back gets shelves from, say, the garage to the shed. I did pay a strong young man for just under two hours (£20 in all). Of course, I could have paid house clearance specialists to do the whole thing, but that would have cost much more, and we did want to keep some things. 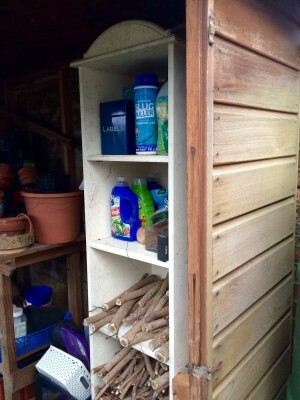 I paid a strong young man for two hours to shift things, including these shelves which are now in my garden shed. In order to keep the things we wanted, we had to ’15 minutes’ both the cellar and the attic, not to mention the garden sheds, so clearing the garage has meant clearing out everything else, too. Mr M and I did the attic by setting aside 15 minute sessions before supper every day for about four days. Having two of us doing it together super-charged the process, and it didn’t take any time away from work. Because I subscribed to Freecycle to get rid of our pallets, chests etc, I get the Freecycle newsletter. On it, I’ve spotted a source of local ‘free well-rotted manure’ if you come and collect it. I spend quite alot on sacks of well-rotted manure for the garden, so ‘give and you shall receive’ does seem to work! 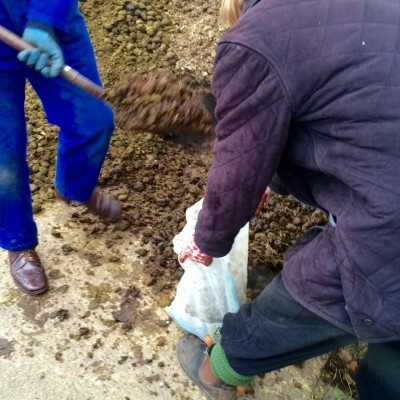 We found this wonderful source of free well-rotted manure on Freecycle – although you have to put it in sacks yourself. Do let me know any tips you have, and do please share this using the buttons below. Thank you! 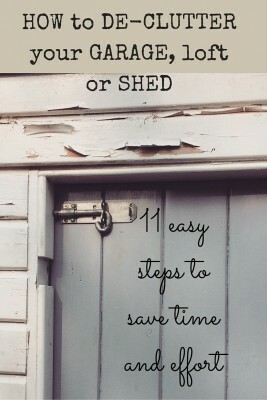 12 comments on "How to de-clutter your shed or garage quickly and easily"
An interesting and instructive article. The last time I tried de-cluttering, throwing out all the things that I thought useless and did not give me pleasure, I ended up tossing out all the vegetables in the fridge. Great article – & definitely inspirational. I have been slowly tackling my spare room which has become a dumping ground – but the 15min principle sounds like a great idea (I may even stretch it to 30mins) – & makes it more achievable too. I need to apply this to every cupboard, drawer, wardrobe, shed, garage, dog house ….agh! That’s a lot of 15minutes! Good luck with the assault! Help! I feel a bad case of “tidy-sorted-shed-garage-envy” coming on. Hopeful this will translate into inspiration to follow suit! The garage and loft are now both works of art, but the shed has yet to follow! Every time it rains, the water pours in, so it’s not even a wet-weather task!